Goalkeeper: Petr Cech missed the win over Qarabag last night as he’s been ruled out for up to four weeks with a hamstring injury. Bernd Leno put in another encouraging performance in the Europa League so he’s expected to keep his place on Sunday with Emi Martinez acting as back-up. Defence: Emery surprisingly started with a back three against Qarabag on Thursday night but switched to a four at half-time and the boss should stick with that system at Fulham this weekend. Hector Bellerin is certain to get a recall at right-back with Stephan Lichtsteiner making way while Nacho Monreal should move out to left-back after playing in the back three against Qarabag. Sead Kolasinac is therefore likely to drop to the bench. Shkodran Mustafi was rested last night and although I think Rob Holding has performed well in recent games, the youngster is expected to make way with Mustafi coming in to partner Sokratis in the middle of defence. Midfield: We’re certain to see changes in midfield as Granit Xhaka will come in for Mohamed Elneny as the Egyptian international failed to take his chance last night. Matteo Guendouzi did play well in the Europa League win and scored a fine third goal but I still think we’ll see Lucas Torreira recalled to start in the holding role. 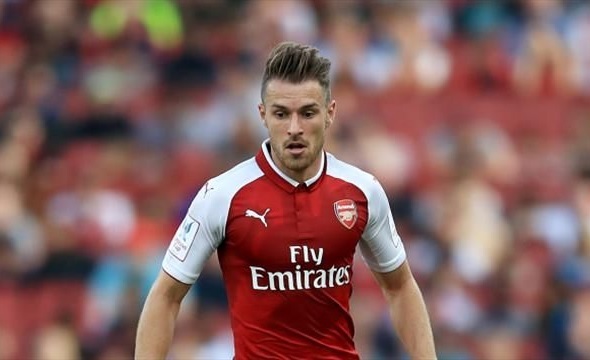 Attack: Aaron Ramsey asked to miss the trip to Azerbaijan to be with his pregnant wife – who’s expecting twins any day now – so the midfielder could be a major doubt to face Fulham. If his wife goes in to labour soon then Rambo is likely to miss the game. That would be a blow but it would allow Emery to play Mesut Ozil in his favoured central role and pave the way for Henrikh Mkhitaryan to return to the side on the right wing after missing the Qarabag game due to security fears. 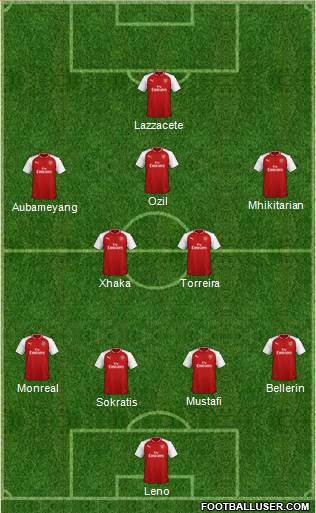 Our attack would look a lot more balanced with Ozil in the middle and Mkhitaryan on the right but it would mean youngster Emile Smith Rowe dropping out despite putting-in a superb goal-scoring display against Qarabag. 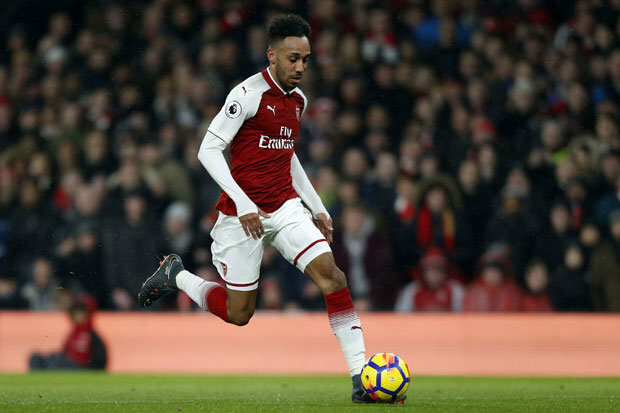 Alex Iwobi will be hoping to keep his place on the left after another excellent performance last night but I think Pierre-Emerick Aubameyang will be recalled if he recovers from the sickness that kept him out of the trip to Azerbaijan. Aubameyang is likely to play on the left wing with Alexandre Lacazette recalled up front meaning Danny Welbeck dropping to the bench after a disappointing display against Qarabag.